I never thought I’d say this, but not only have I eaten Rocky Mountain Oysters on more than one occasion, I have enjoyed them each time. And now, thanks to the Alameda County Fair this year, I have officially eaten Rocky Mountain Oysters three times. I think that takes me past the “I’m just going to try them” stage, and into the “hey, I like these” stage; what do you think? 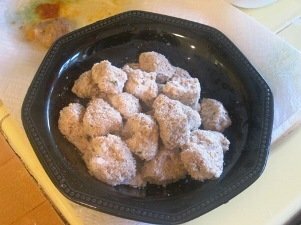 For those who don’t know, Rocky Mountain Oysters are bull testicles used for food. They are considered a delicacy and are most often served as an appetizer, with a side of cocktail sauce dip. 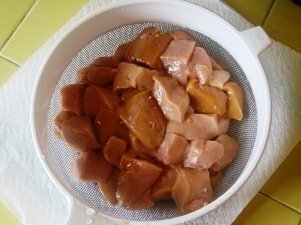 Bull testicles can be a little tricky to find, but once you do, preparing your own delicious Rocky Mountain Oysters is easy – just follow the directions below! Before you begin, make sure the bull testicles are cut into bite size pieces with the tough outer skin already removed. 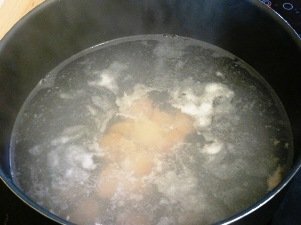 Cook the pieces in a pot of boiling water for about 3 minutes, being careful not to over cook them. Even a minute too long will cause the bull testicles to become as tough as leather. 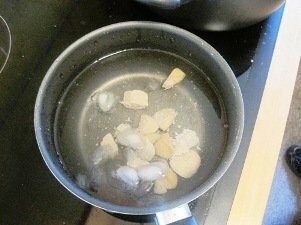 Immediately transfer the pieces of boiled testicle to a pot of ice water to halt their cooking. 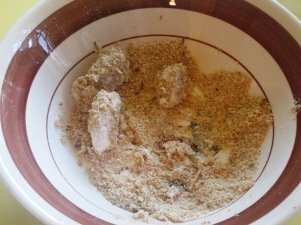 Place two bowls in front of you, one filled with whole milk, the other filled with a mixture of flour, 1 tablespoon garlic powder, and ¼ teaspoon chili powder. 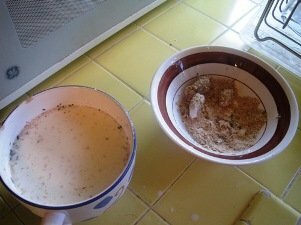 Dip each piece into the milk, then into the flour mixture, and back into the milk. Finally, cover each piece in bread crumbs. Now it’s time for frying! 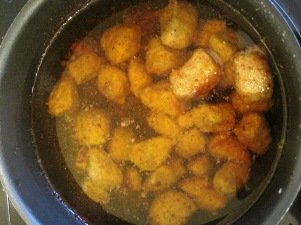 Heat a pot of cooking oil to 375 Degrees, and then very carefully submerge each breaded bull testicle piece. 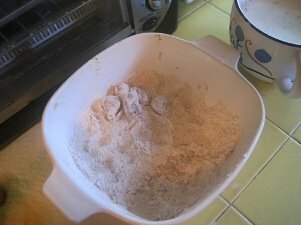 Fry each piece for 3 to 5 minutes; just long enough to brown the flour. Remember, leaving them in too long will result in testicles that are very tough and hard to chew. I like to sample at 3 minutes and see how they are doing. 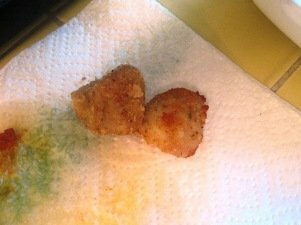 You know your Rocky Mountain Oysters are done when each bite-sized piece is a beautiful golden brown. This entry was posted on Thursday, July 7th, 2011 at 11:11 PM	and is filed under Misc.. Both comments and pings are currently closed. Had fresh oysters thrown in with everything else from a friend in VT butchering his own grass fed bull. A little intimidating at first, and certainly my husband could not watch, but they are delicious! I was hoping they would taste like sweetbreads and they do. I with Americans weren’t so squeamish about all parts of the cow. Thanks for the recipe.